An apparatus and method are provided for providing substantially uniform illumination. The apparatus includes an elongate reflector housing with an inner surface having a substantially constant profile in cross section which is generally concave, an optical center being defined at a geometric focus of the profile of the inner surface. In a preferred embodiment, substantially uniform illumination is achieved by providing an elongate light source positioned within the elongate reflector housing such that a geometric center of the light source is situated preferably spaced outwardly from the optical center of the housing, away from the inner surface of the housing. This is a highly energy efficient lighting system suited for agricultural growers. Both sale and licensing opportunities welcomed. 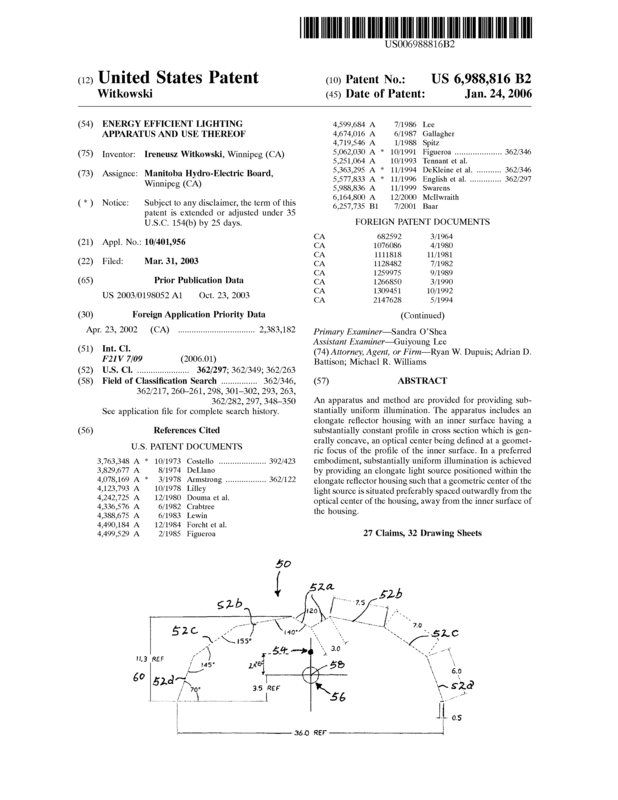 Page created at 2019-04-22 14:08:29, Patent Auction Time.